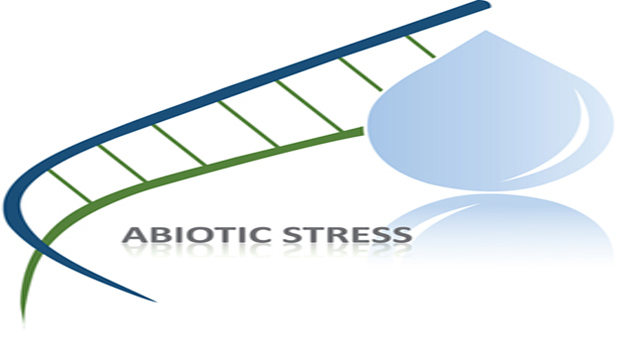 A-biotic stresses such as; drought, salinity and high and low temperatures are regarded as the stress agents responsible for considerable decreases in the growth and productivity of economically important crops1. Acquired plant tolerance to abiotic stresses can be achieved both through genetic engineering strategies and through conventional plant breeding combined with the use of molecular markers in MAS. Among molecular markers, SSRs are a suitable choice because they are co-dominant, more polymorphic, stable and also much easier to assay as compared with other markers2. SRRs are tandem repeats of one to six nucleotides in nucleic acid sequences that are found on both non-coding and coding regions of genomes. The EST-SSR is a type of SSR marker developed from Expressed Sequence Tag (EST) libraries3. High-throughput RNA sequencing (RNA-seq) is one of the Next Generation Sequencing (NGS) techniques and it is rapidly emerging as a major quantitative transcriptome profiling approach4. Despite the discovery of large amounts of SSRs in recent NGS studies, only about 1% of reported SSRs have been tested, nearly half of which were characterized as polymorph markers. Therefore, the challenge is to manage and validate the large number of SSRs in order to obtain the best results at the least expense5. In a new study, the comparative analysis of the SSR motifs among various stress conditions using RNA-seq data was done. Sequences with altered SSRs can be annotated further and applied to experimental validations. These insights can then be translated into functional markers in breeding programs. Furthermore, the cumulative increase in the RNA-seq datasets of various stresses suggests an opportunity to integrate and utilize these sources for the discovery of more rigorous SSR markers6. A workflow was developed for detection and comparison of RNA-seq SSRs under abiotic stresses in order to identify functional and informative markers. Using available RNA-seq data, the differential alteration of SSRs was investigated under various stress conditions. Sequences with altered SSRs were then characterized as stress responsive genes, which may have potential uses in genetic diversity and association studies. The results of the study revealed that GC/GC and GCC/GGC repeats were significantly more common under stress conditions compared with controls for both wheat and rice samples. Interestingly, genes containing these motifs have been found to participate in abiotic stress responses and to include various heat-shock proteins (HSPs) and DREB/CBF (DRE-binding protein/C-repeat binding factor) proteins. Sequences harboring these altered SSRs play important roles, whether directly or indirectly, in responses to heat and other abiotic stresses. Thus at least some of these markers may prove to be informative for use in MAS projects. In general, SSR analysis under various stress conditions can be used, in conjunction with ontology analysis of sequences with specific altered SSRs, to assess associations between microsatellites and the biological roles of known genes. Cramer, G. R., Urano, K., Delrot, S., Pezzotti, M., & Shinozaki, K. (2011). Effects of abiotic stress on plants: a systems biology perspective. BMC plant boil., 11(1), 163. Shiran, B., N. Amirbakhtiar, S. Kiani, S. Mohammadi, B.E. Sayed-Tabatabaei and H. Moradi, 2007. Molecular characterization and genetic relationship among almond cultivars assessed by RAPD and SSR markers. Scient. Hortic., 111: 280-292. Yan, Y., Y. Huang, X. Fang, L. Lu, R. Zhou, X. Ge and S. Shi, 2011. Development and characterization of EST-SSR markers in the invasive weed Mikania micrantha (Asteraceae). Am. J. Bot., 98: e1-e3. Wang, Z., M. Gerstein and M. Snyder, 2009. RNA-Seq: A revolutionary tool for transcriptomics. Nat. Rev. Genet., 10: 57-63. Zalapa, J.E., H. Cuevas, H. Zhu, S. Steffan and D. Senalik et al., 2012. Using next-generation sequencing approaches to isolate Simple Sequence Repeat (SSR) loci in the plant sciences. Am. J. Bot., 99: 193-208. Arghavan Alisoltani, Behrouz Shiran, Narjes Rahpeyma Sarvestani, Hossein Fallahi, Naser Aliye Feto and Esmaeil Ebrahimie, 2018. Changes in Microsatellite Motifs in Response to Abiotic Stresses: a Case Study Using Wheat and Rice RNA-sequencing Data. Asian Journal of Scientific Research, 11: 12-21.